When I turned 50 a few years ago, I realised I was in a bit of trouble. The good years had been a bit too good for me and shooting 2 - 3 weddings a week had suddenly become tough. I was over-weight and out of condition. Back to back Summer weddings in the heat, with all the stress and logistical nightmares, had grown so exhausting that I wasn’t sure if I’d be able to continue into my 50’s unless I restricted my workload to one wedding a week. Unfortunately, this just wouldn’t work financially, and so I decided to get back in shape to cope with the workload. I joined the gym and went on a diet. It all went OK for the first six months but as anyone who has ever tried this will tell you - it gets really boring! On the verge of giving up I did what every professional photographer would do and bought a gadget. 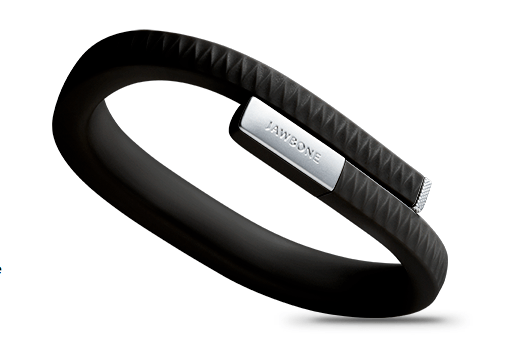 The Jawbone Up is a fancy little wristband that tracks the calories you burn and links them to your food intake via an app on your phone. It even logs your sleep - not that I get much of that during the wedding season. It helped me get back on track in the gym. The smart thing is that it contains a stopwatch function so you can time various activities. So you go for a walk, time it, and the app on your phone will record how many calories you’ve burned. You can log all kinds of activities and record the results on your phone. One particularly busy weekend I decided it would be fun to track my shoots as activities and see how many calories I’d burn each day. I shot three weddings in 3 days. The first one on Friday was a small registry office wedding and my total calorie burn that day was 3721cal. Then the next day I had a more typical 8 hour Church wedding and my calorie burn that day was 4615cal. If that wasn’t exhausting enough, I went on to a slightly longer 9 and half hour wedding on Sunday. I did quite a lot of walking that day. Total calorie burn was 5382cal. So what does that mean? Well here are my typical stats for days when I don’t shoot weddings. On a typical day when I walk to the gym and do my usual tedious workout and then walk home again, I am lucky to burn 3193 calories or on a day when I don’t go to the gym and spend a lot of time sitting in front of Lightroom then about 2426 calories is about average. The results give you some insight into how much energy goes into photographing a wedding. It is exhausting. So if you are getting married this year and are wondering if you need to provide some food for your wedding photographer, then I’d say that not only is it a lovely thing to do and will make your photographer feel happy it will also ensure they have the energy to complete the job. Interesting statistics!! I know someone who once tracked how far they walked during photographing a wedding, and off the top of my head it was 20km! Not really a comparison, but during a summer wedding this year (yep, we had at least one hot day!) I drank 11 pints of water throughout the daylight hours, and didnt use the toilet once. It peaked at 30c mid-afternoon and the water was coming out of me faster than I could put it back in! Luckily, I got fed and watered at this wedding so it wasn't so bad! Interesting little ap and great article. A quality meal is something we all look forward to and makes such a difference with lifting the energy levels. Although many of us bring a little supplies bag for sugar boosts, you cant beat a warm meal! I do have a whole stack of cereal bars on the day, mainly because they don't cause any mess. A meal is always appreciated, but I can't do 3 courses.... it has a more soporific effect than not eating at all. I recently changed doctors and during the registration interview (height, weight, lifestyle questions etc.) had one hell of a time trying to convince the nurse that my job was a physical one. She kept insisting that "but as a photographer don't you just stand around and press a button?" I'm so glad I stood my ground! luckily i do asian weddings so you always get fed. the only problem is that by the time you get fed, the food is cold!! We always have a meal, with our name on the table plan too. It makes us feel a big part of their day, and the sit down definitely helps to keep the energy levels going. At 62 this month I usually have more energy than younger, trainee photographers, who can rarely complete the full day, but as Shoaib implies above with Asian weddings, although food is standard, its not such a relaxing affair, as we are expected to photograph everyone eating and still be ready to capture people on the stage with the bride. English weddings may last longer but Asian weddings are even more frenetic, completely non-stop. great article. I wore a fitbit to a wedding yesterday, not particularly long, and walked 9km. It's been in my contract for a while that I'm fed if working past the meal. For me it's not so much the actual food, though that's obviously important, is more that the client treats you with respect and understands what we put in to their photography. I think I'm going to have a go at this. It's so important to maintain the energy levels during the day; having something to look forward to when the guests are having there meal is essential. There's not always time to go elsewhere to get food (hate to miss anything!) and impracticable to keep things fresh (and within health and safety regulations) on a long day; and often at locations far from other services. Great post!